When hosting a charity poker tournament, it’s most common to have an elimination tournament, which can accommodate any number of players. The event starts with up to 10 players and 1 dealer at each table. 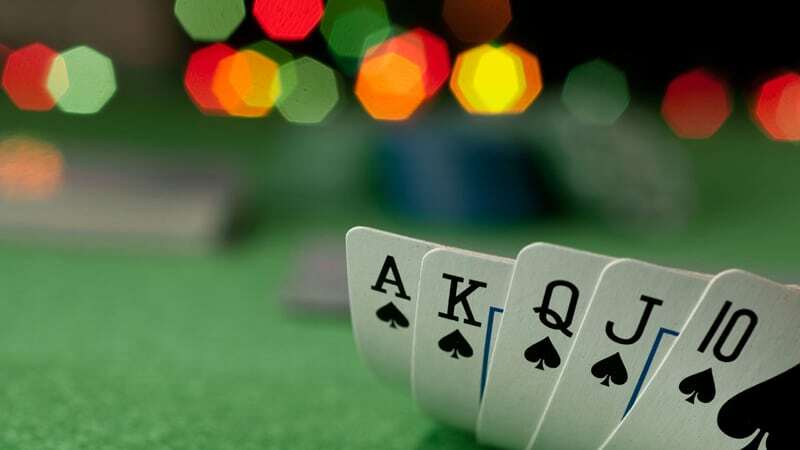 Each player starts with the same pre-determined amount of chips (typically somewhere in the range of $1,000 to $2,000 or perhaps even $3,000 in chips). 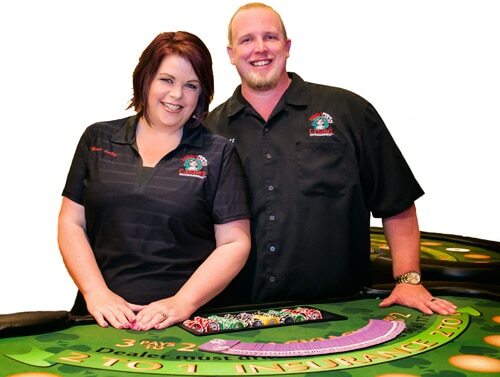 Our Tournament Director will help you determine this starting amount of chips based on your overall number of guests, the length of the tournament, and the tournament specifics. Play begins at the same time for all players at all tables, so you might want to factor in the late arrival of a handful of pre-registered attendees. As players bet throughout the night, some people will eventually run out of chips and get eliminated. As this happens, our Tournament Director will periodically consolidate tables until only one final table remains. The winner of the tournament is the last person standing, so to speak – the person who ends up with all the chips after everyone else has been eliminated at this final table. If you’re offering a grand prize for the winner of the tournament (ideally something you were able to get donated so that your charity has more money left over), this would be the person who receives it. The next-to-last person eliminated would be considered the runner up, the person eliminated before him or her would be considered the 3rd place finisher, etc. While we’ll handle almost every aspect of actually running the poker tournament, we’ll leave the choice of what to give as prizes, how many finishers to award prizes to, and even whether or not to award any prizes at all, completely up to you. Each charity is different so just let us know if you have any questions!